Tony graduated with a BSc from Reading University and a PhD in organic chemistry from the University of Dundee. 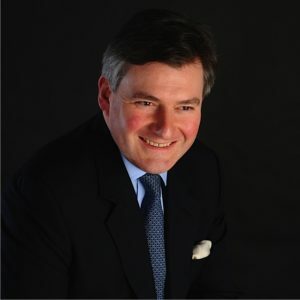 After graduation he joined the Patent Department of Beecham Group and has worked for forty years in the patent profession in the life science sector being a Vice President and the head of the intellectual property group at Amersham plc. and Managing Counsel European and Japanese Patents of Merck Sharp & Dohme (MSD). He has represented and led BusinessEuope delegations in patent harmonisation discussions, including to China and Japan. He currently runs his own consultancy business. Tony has been involved in a number of professional bodies in relation to intellectual property and is on Council and currently the President of the UK Chartered Institute of Patent Attorneys. He is a keen gardener and enjoys wine and whisky tasting! Louisa was born and grew up in rural mid-Wales, the youngest of three children. She had a somewhat unconventional education, including being a year at a boys’ boarding prep school aged 7, and a year in Canada during her A Levels. After working in London for a few years, she went travelling. She fell in love with Australia, so stayed, moving to Sydney and joining a financial advisory firm. She has worked in different parts of the investment industry ever since. 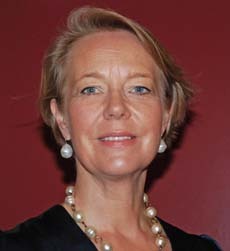 In 2002, Louisa completed an MBA (Exec), and two years later was transferred to London. In 2007, she joined Lazard Asset Management as Head of Institutions, with overall responsibility for everything client facing for institutional investors across the UK, Benelux, Nordics and Middle East. 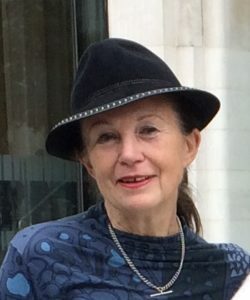 Louisa is a trustee and a member of the finance committee for Fight for Sight, the UK’s largest charity funding pioneering eye research, and the Lazard Samaritan Fund, and has spent over 17 years as an active member of charity committees. Louisa met her husband in Sydney (also British) and their two daughters were born there. They live in a small village in Buckinghamshire, and life revolves around family, horses, dogs and other animals. A keen cook including marmalade and jams, skiing, travel, entertaining and opera round out Louisa’s interests. They regularly return to Australia every couple of years. Mark is co-owner and director of Mansell & Co Chartered Certified Accountants in Bishops Stortford, Hertfordshire. 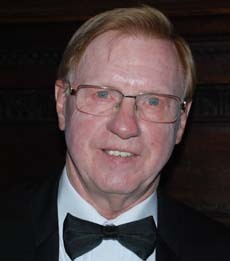 The firm was established about fifty years ago and Mark has worked there for almost twenty years. He specialises in assisting owner-managed businesses and providing personal tax advice, including work for a number of clients in The City, which he visits on a regular basis. Outside of work, Mark has a busy family life but manages to enjoy regular Clay Pigeon Shooting. He had signed up for the Feltmakers’ Team at the Annual Inter-Livery Shoot where he hopes not to embarrass himself and instead do the Company proud! John was born in 1947, one of twins and the youngest of 7 children. The family lived in just 3 rooms until he was 11 years old. John failed his 11 plus and left school in 1962 with few qualifications, but attended night school, passed a basic electrical course and became an apprentice electrician for the National Coal Board at Vane Tempest Colliery. He received various promotions there, leading to his becoming the colliery electrical engineer. He then moved to Westoe Colliery and to Wearmouth Colliery after Westoe’s closure. When the last Durham colliery closed in 1994, John retired. As an apprentice and electrician (1962-1972), he was involved with union activities, and attended Ruskin College. His higher education was through the NCB, qualifying with AMEME (Hons) in 1971. He lost his right hand in a serious accident in 1986. He is married to Heather and they have 2 daughters and a grandson. 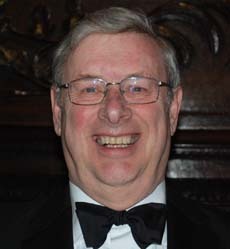 John was a FA referee for 30 years, mainly in the youth leagues, and has been associated with his local church for many years, serving as a choirboy in his youth and then as Church Warden, Treasurer and PCC member. Having known poverty in childhood, he became an active young socialist in the 1960s, and he still retains these beliefs although he now leads a much more comfortable life. I retired in 2013, after fifty working years, Thirty in Accountancy – having signed Articles with a City Firm in 1963, followed by twenty in Education Management in the Maintained and Independent sectors. My wife, died unexpectedly in 1993. My son and daughter have provided five grandchildren, two in England, and three in Australia, all of whom who I see regularly. I now live in Guildford with my partner Eunice. I have always been involved in my local communities, including many years as Parochial Church Council Treasurer, in two parishes. Recently I have been Governor of two local schools and am now a volunteer at the local general hospital. My interests in Psychology, Politics and History, are sustained by my continuing studies at Birkbeck College. 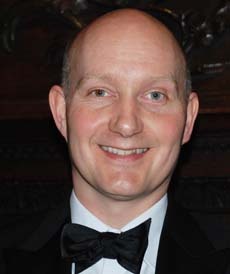 After Harrow, James joined the army and entered Sandhurst as an Army Scholar to follow his father into The Black Watch. An unfortunate medical mishap put a stop to this and he entered The City of London in 1988, working firstly as a Marine Hull Broker at Lloyd’s, moving after a time into private client fund management. He worked closely with Jonathan Ruffer at Ruffer LLP before joining Singer & Friedlander. James has been in his role since 2006, migrating the business to Williams de Broë and then its takeover by Investec where he is currently a Senior Investment Director. 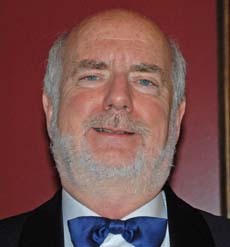 He is Treasurer of The Harrow Association, on the committee of The Gull’s Eggs City Luncheon in aid of Cure Parkinson’s Trust and a member of Brooks’s. Married to Maria he has two children, lives in Somerset and works in London. Born in New Zealand, Hilary Alexander OBE is the former Fashion Director of The Daily Telegraph. She retired from the Telegraph in 2011, after 26 years, and has continued to work as a freelance stylist , fashion consultant and writer; is the editor-at-large of Hello Fashion Monthly and a regular presenter and host at The Clothes show. She appears frequently on television and has been one of the regular judges in the TV series, Britain’s Next Top Model. She works regularly with a number of charities, including the Battersea Dogs & Cats Home and the British Heart Foundation, and also styles the Breast Cancer Care annual charity gala fashion show. A long-established supporter of Graduate Fashion Week, she has been a GFW Trustee since 2011. She has been named British Fashion Journalist of the Year twice (1998 and 2003). In November, 2007, she was honoured with the title Doctor of Design by Nottingham Trent University. She was awarded the OBE by HM The Queen, for services to fashion journalism on November 28, 2013. She is a passionate traveller, long-distance walker, gardener, cook, cat-lover and collector of tribal jewellery.